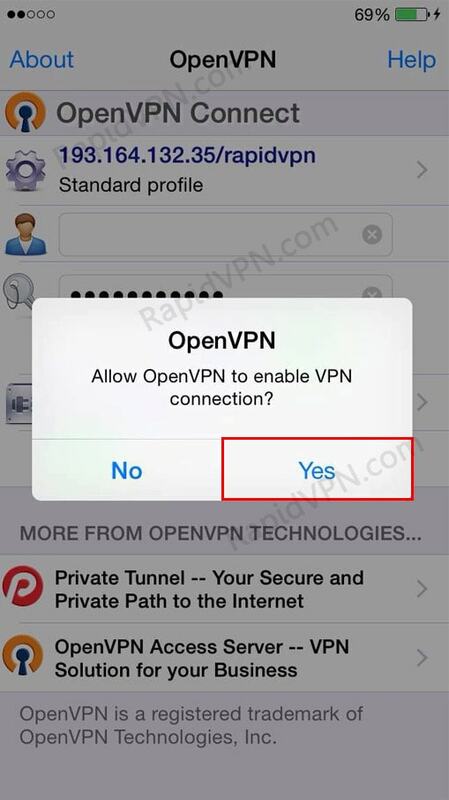 How to setup OpenVPN connection on iPhone, iPod Touch, and iPad? 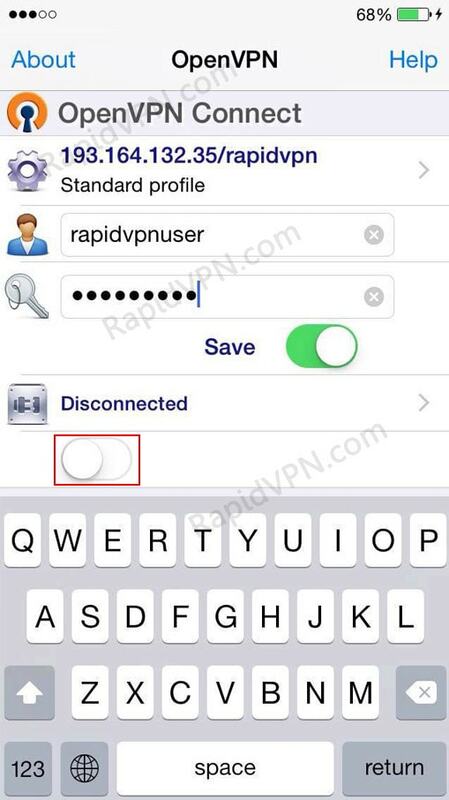 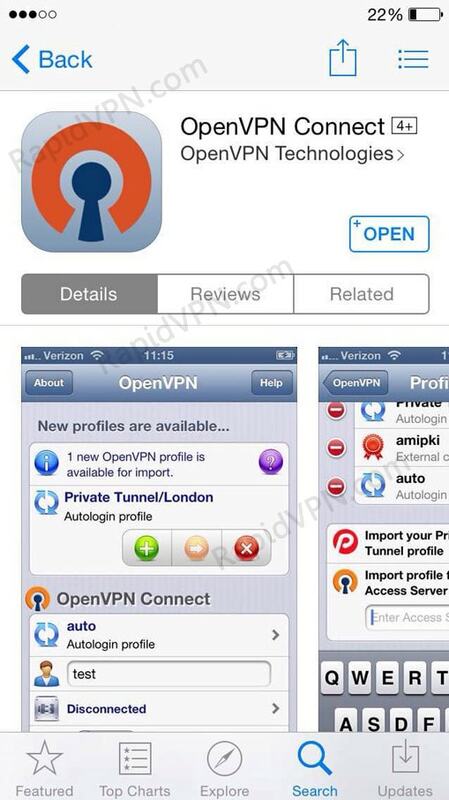 2Download the OpenVPN configuration file for the server location of your choice from this link client.rapidvpn.com. 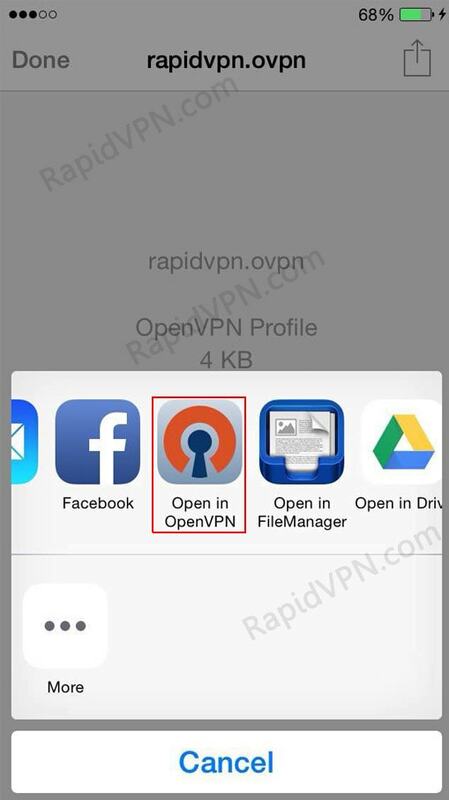 Go to Configuration and download OpenVPN UDP/TCP config file.